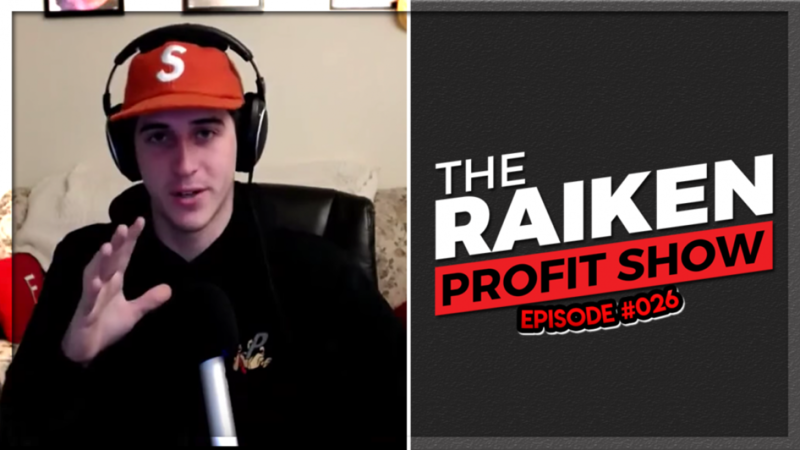 In episode #026 of The Raiken Profit show we interview Zayne Frysinger about how he finds items from thrift stores and sells them on eBay. Many people don’t realize it but you can make a ton of money buying items such as clothing, shoes, and electronics to flip on eBay for some ridiculous profits. Zayne also shares a cool strategy in this episode that allowed him to buy an item for $400 and sell it for over $1,000 the same day on instagram. This is a show you will not want to miss. Take notes and go out there and make it happen!